As you read this, Christmas may be a ways off. But it's never too early to start planning for it. After all, part of what makes Christmas the most wonderful time of the year is the anticipation and the buildup. And no matter the time of year, spending a bit of time planning for the next holiday season is a good way to sweeten the here and now. 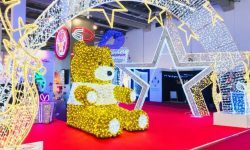 The tingle of anticipation for the next holiday season mingled with delightful memories of Christmases past can brighten any time of the year with holiday cheer. A great source of Christmas joy for both young and old alike is Christmas lights. Delightful, breathtaking displays of colorful, sparkling Christmas lights help to make Christmas a holiday like no other. But the best light displays don't just happen on a whim; they take advance planning. And when installation time comes, the plan must be executed with precision. 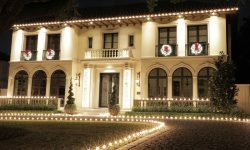 So no matter how far into the future Christmas lies, right now would be a great time to start preparing for your next Christmas light installation project. That's because right now, you have plenty of time to formulate your plan and acquire all the lights and materials you'll need. And you can do it at your leisure, without any of the time pressures that sometimes accompany the hectic holiday season. So let's get started. The first step is to design your light display. OK, so you're going to hang Christmas lights on your house. But what kind of lights, and where? A haphazard, unfocused approach to hanging your lights is likely to yield a somewhat scattered, chaotic look. 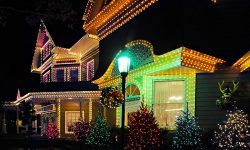 Now is the time to formulate a design plan for your Christmas light display. Start by picking a point of focus for your design, such as the entryway to your home. You'll begin your installation at that point, and work out from there. And this is also a great time to honestly evaluate your budget. Whether your goal is to have a great Clark Griswold-esque display or something a bit more modest, decide whether your budget will support your goal. If it's going to be a financial strain, then make it a part of your plan to reach your goal in stages. Do one section of your home per your grand plan this season. Add another section next season. 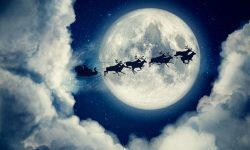 Before you know it, you'll have achieved your grand plan without busting your budget or adding to the financial stress that often accompanies Christmas. How many lights should you buy? Only you can decide what will work best for your design plan. The number of lights you'll need will be determined by the between-bulb spacing you select. But the key to knowing what you'll need is to measure carefully. Use a tape measure, and measure the length of every run of lights, including around door and window frames, and along the perimeter of driveways and walkways. 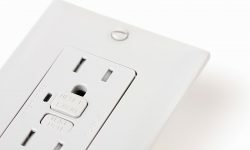 Don't forget to consider the number of electrical outlets available, and the distance that cords will need to run to reach a power supply. For trees and large shrubs or bushes, plan on roughly 100 lights for every 1 1/2 vertical foot. So if you wanted to wrap a 9-foot tall tree, for example, you'd need about 600 lights. 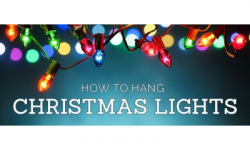 Click for more help in choosing the type of Christmas lights you'll use in your display. You'll also want to learn about the many different options you have for attaching your lights to various surfaces. When the big day arrives, you'll be ready to go. You'll have your design plan in hand. You'll have all the lights and supplies you'll need. All you have to do is follow your plan and install your lights. Start out by making sure your lights are in good shape. Inspect the lines for cords that have been damaged in some way. Cords with bad insulation are likely to give you trouble with outages before the season's end. But more importantly, damaged cords represent a safety hazard. Once you've inspected your lines, test your lights to make sure everything is working properly. It's much easier to fix any problems now than it will be after the lights are installed. Lay each line out on the ground, plug it in, and look for bulbs that may need to be replaced. Tip: This is also a good time to attach any clips that you'll be using to each line. For an unfortunate few every year, the joy of the season is spoiled by an accident that occurs while installing Christmas lights. But in virtually every case, accidents that occur during light installation are completely avoidable. And the best way to avoid accidents is to always keep safety a priority. Don't push your comfort boundaries. 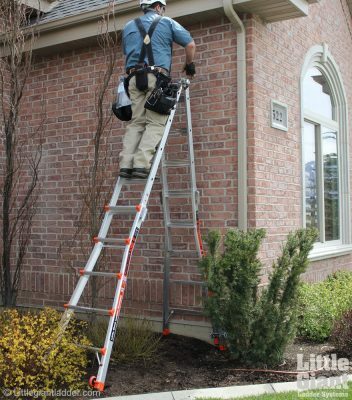 If ladder-climbing and roof-hopping aren't for you, just leave those parts of your house undone, or hire a professional installer. You'll also want to be sure that your light display won't be overloading electrical circuits or extension cords. If you're using LED lights, it's very unlikely that the electrical load will be a problem. But you can make certain by calculating the amount of electricity your display will require. Once you've put in all the hours of labor to plan and install your lights, it's time for the big payoff. Flip the switch to turn on your lights, and enjoy! You may need to do some troubleshooting if you find a string of lights or a lone bulb not lighting. Make sure to have a few extra bulbs on hand to replace any burned out bulbs from years past. Christmas Will Soon Be Here! Time flies. No matter the time of year that you read this, Christmas will soon be here. So there's no time like the present to prepare for installing your next Christmas light display. By preparing in advance, you'll be able to just enjoy the moment when the time arrives. No bothersome concerns about missing equipment or insufficient supplies. No frantic, last minute, off-the-cuff planning and designing. You'll be able to just follow your plan, tap into your well-stocked supplies, and enjoy the task of installing your Christmas lights. It'll be joyful work. And that's the way it should be, isn't it?